We all want to reach the next level in our lives and experience greater physical, mental and emotional freedom. To do that, we have to break through our limits and rediscover what we’re made for. Are you trying to figure out how to take your life to the next level? The first step in your journey is to identify the limiting beliefs that are holding you back. What is the story you tell yourself every day? How is that keeping you from changing? Most of us do not make conscious decisions about our beliefs and simply let them define us and limit our success. Most beliefs are based on generalizations we’ve made about our past, many of which are not true. Every time something negative happens, it enforces our limiting beliefs: We are not lucky or are destined to be mediocre. The only way to make lasting change is to stop telling ourselves the same story. When Melissa saw the change in one of her best friends after attending UPW, she knew she had to attend to see if he could help with her struggles. Once there, Melissa shared with Tony that her number one limiting belief was that her success would take something away from her family. A light bulb went on for her when Tony pointed out that she was searching for affirmation instead of giving herself the love she needed. When she realized that she needed to be inspired by herself and embrace her higher self, she felt many of her limiting beliefs and obstacles melting away. This realization allowed her to take the right steps to reach the next level in both her career and her personal life. Breaking through limiting beliefs involves making the conscious decision to recondition your mind with empowering beliefs. It is only by turning negatives into positives that we learn that the only limits in life are the ones we put on ourselves. If you want to have an amazing relationship with your partner or become a leader in your career, you must change your belief system. If you want to know how to reach your full potential, your first step is always to change your mindset. Worry and doubt become confidence and positivity. Obstacles and problems start revealing themselves to be what they truly are: opportunities for growth. Ready to change your beliefs, break through limits and reach your full potential? 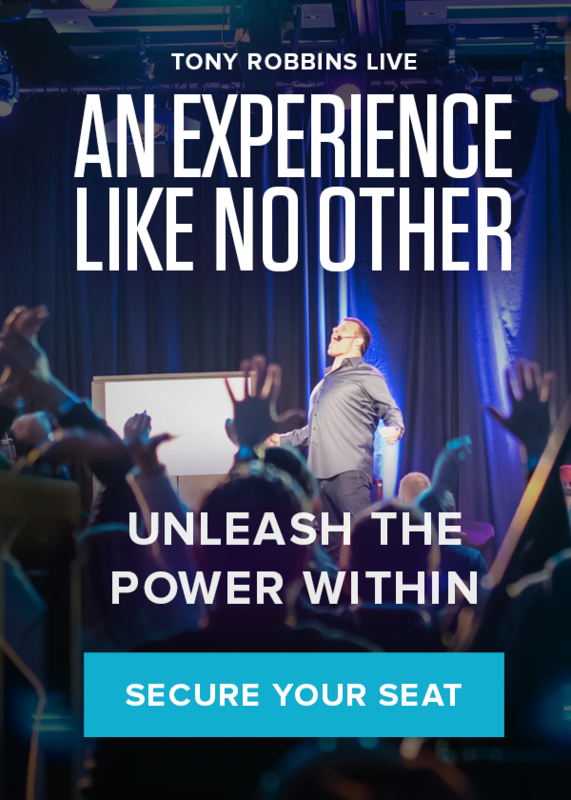 Take charge of your life and your success by attending Unleash the Power Within. Learn how to finally live without fear and achieve the life you’ve always dreamed of.